Fall Clean Sweep was a big hit! Thank-you! 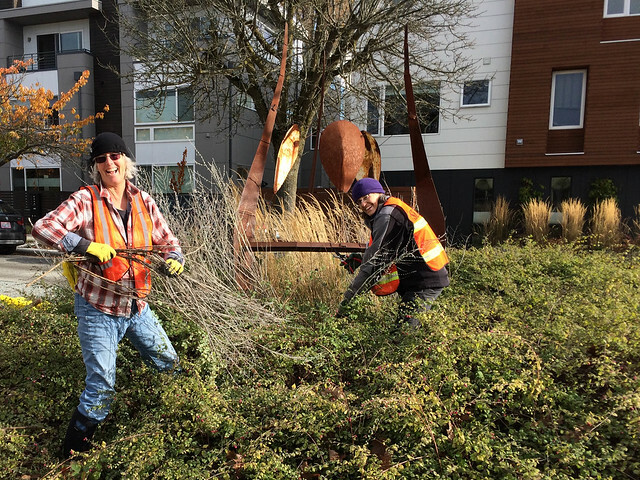 The weather was perfect for our late fall clean sweep event along 14th Ave NW. We had 22 volunteers who picked up 9 bags of trash, 7 bags of yard waste and filled 3 large yard waste cans of leaves that were blocking the storm drains. Waffles, fruit, coffee and hot apple cider donated by The Ballard Market kept us fueled as we picked up trash from NW 65th all the way to Salmon Bay. Amazing work! 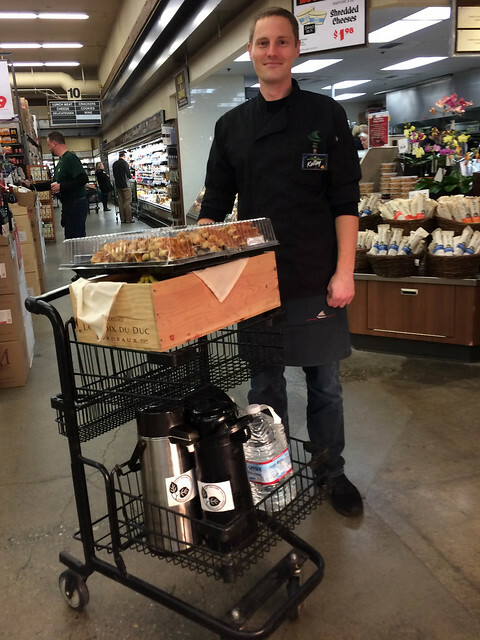 Special thanks to The Ballard Market and especially Kelley in the deli who prepared all the donated food for us! Check out the pics in our Flickr album to see all the fun we had! Be sure to click on the individual photos to read the captions. Thank-you neighbors and we’re looking forward to seeing you again in the spring for our next Clean Sweep event!